Viking Books for Young Readers, 9780670013302, 432pp. A swashbuckling new series for Ranger's Apprentice fans! Imagine a world ruled by Werelords - men and women who can shift at will into bears, lions, and serpents. 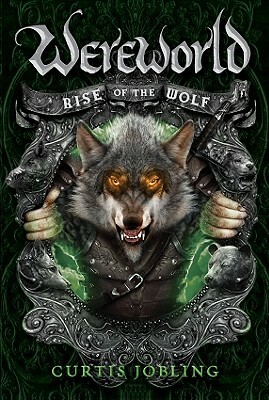 When Drew suddenly discovers he's not only a werewolf but the long-lost heir to the murdered Wolf King's throne, he must use his wits and newfound powers to survive in a land suddenly full of enemies. Drew's the only one who can unite the kingdom in a massive uprising against its tyrant ruler, Leopold the Lion. But the king is hot on Drew's tail and won't rest until he's got the rebel Wolf's head. Curtis Jobling (www.curtisjobling.com and www.badablingthing.blogspot.com) is best known as the designer of the BAFTA-winning BBC show "Bob the Builder." He is also the creator/director/producer of Nickelodeon's "Curious Cow" animated shorts and the author and illustrator of several picture books. He resides in Warrington, United Kingdom.